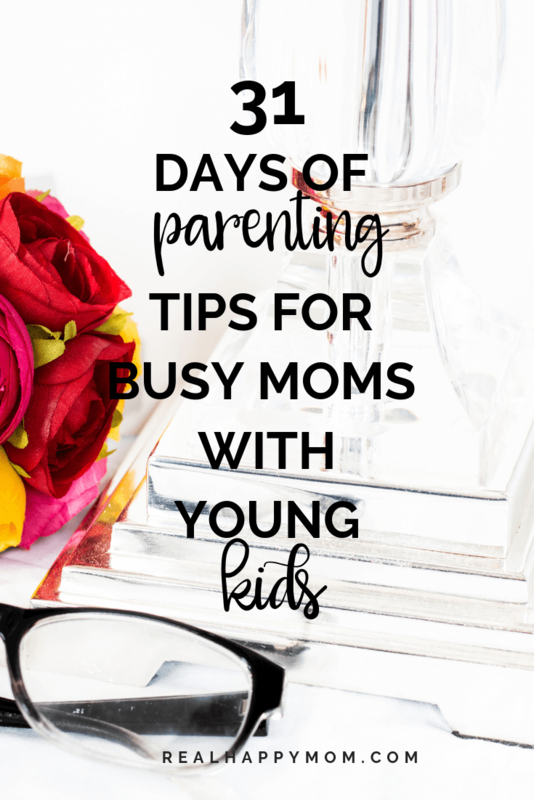 I am pumped to bring you 31 days of parenting tips for busy moms with young kids! I believe each age comes with their challenges. The struggles with parenting may be different for a toddler versus a teenager. But parenting doesn’t necessarily get easier, just different challenges. During the month of October, I will be covering various topics on parenting young kids. With a 5-year-old and 2 years old, I know a thing or two to help busy moms with little ones to make their lives easier. Now, I don’t have all the answers, that is why I am bringing a few other moms to give their expert advice. Each day throughout October you can check back to this page to see all of the posts. It helps if you pin this page for later. Or you can bookmark this page on your favorite browser to come back to throughout the month of October. Make sure to sign up below to receive updates about the new post in this series!